While in Boston, the Scottish Seas team braved the third nor'easter storm to hit Boston in less than 2 weeks. All in all, they faced 12 to 18 inches of snowfall and wind gusts of 65 mph. Another day at the office some Scottish fishermen might say, but in Boston the storm left 190,000+ people out of power and mobilized 700+ snow plows and sanders to get things moving again. But when all was said and done, we know we had a very good show. We met with key people that will allow us to move our project forward in the North American market. We look forward to developing our sales pipeline that will supply the best Scottish seafood to chefs across the US and perhaps Canada. Warm thanks to the Seafood Scotland team for making the booth happen and a special shout out to John & Cat for all your hard work. 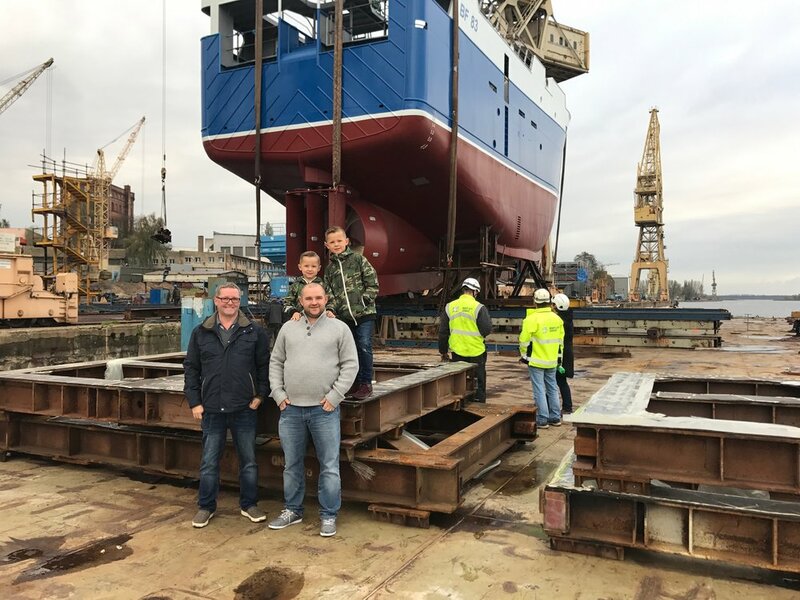 Recently Billy Gatt, David Gatt, Barry Reid and their families gathered in Szececin, Poland to celebrate the 6th Audacious BF83 as she took to the water for the first time. The vessel measures 28m overall with a 8.6m beam and is powered by a 775hp CAT 3508 engine. 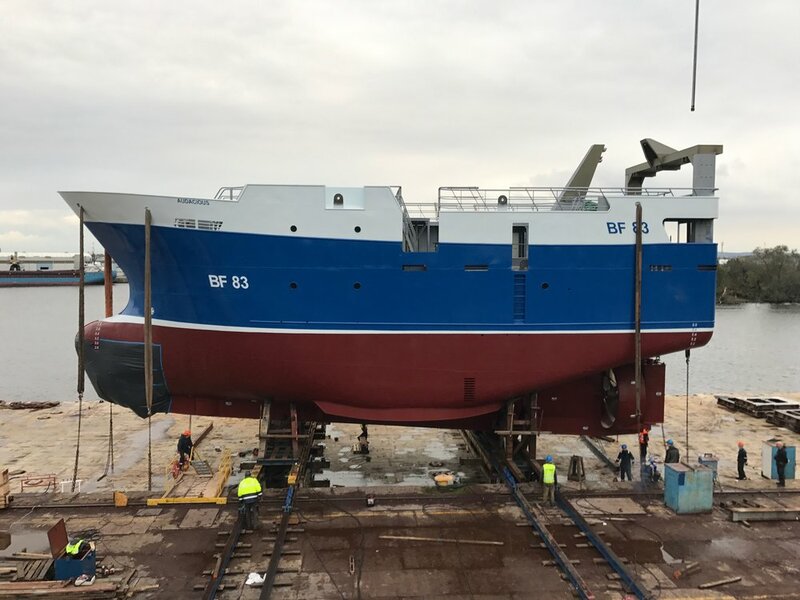 The hull will be delivered to Macduff for final outfitting. The plan is to begin pair trawling in Spring 2018 with partner vessel Faithlie. Like many of our members, this is a family affair. Billy Gatt began fishing in 1979 as a 3ed generation fisherman. David started in 2011, becoming the 4th generation, and he hopes that his boys come on board as the 5th generation to continue fishing. Barry Reid, who also captains the Audacious, began fishing commercially in 1994. 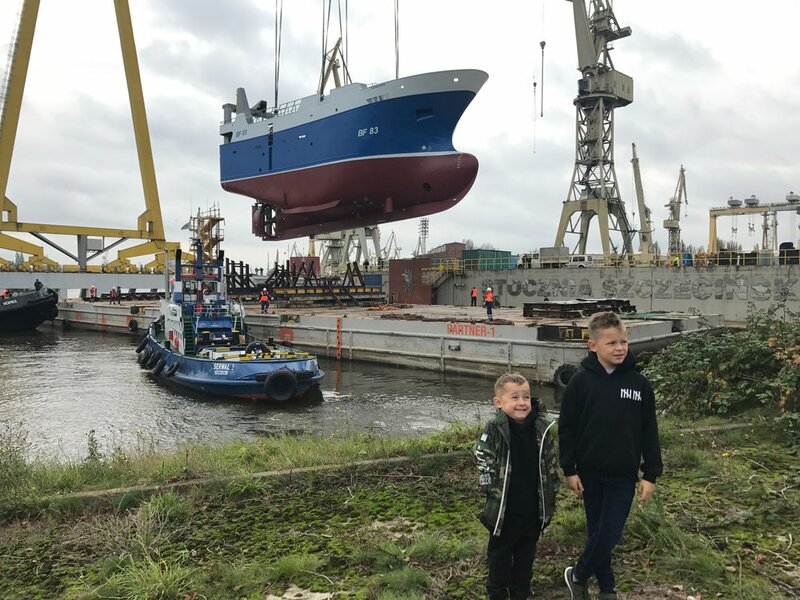 Generations at sea - the Gatt and Reid families celebrate the new Audacious. The new Keila arrives in Westray. Happy days for skipper Tommy Tullochs and his boat partner Michael Leslie. Keila is designed to carry around 1,400 boxes in the step-free fishroom, 31,000 litres of fuel, and 20,000 litres of freshwater for domestic and ice-making requirements. Congratulations, she is a beauty!